I got a text Sunday from a friend in a bind, so of course I said yes. Monday night rolls around and I find myself kneeling by a Thomas the Tank Engine bed. His nose is red and runny, but his spirits are high and he talks with excitement in mumblings. I want to hide it quickly under his bed where he won’t find it and make me read. But I know it’s too late. So I open the hardcover, its paper slipping off, and begin reading. It’s not so bad, I think, enjoying the simple pencil drawings, the smooth repetition of words. Maybe it’s not the way I remember. He’s engrossed in the story and my face is turned from him as I start to cry. My voice wavered a little and I could feel him looking at me with his big gray eyes. 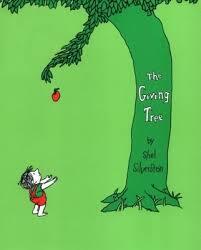 I kept reading and the story kept going and the boy kept taking and the tree kept giving. He wanted a house, so she gave it to him. By now the tears were pretty thick and I knew I should have been embarrassed in front of this boy in footy pajamas. I glanced at him – did he notice? And he whispered in a little voice, “It’s sad,” and I said, “Yes, it is,” and I wiped my cheeks and kept reading. I finished the green book, the little old man sitting on the stump of what’s left of the apple tree, and I closed it. He didn’t say anything, but he watched me quietly, and I wondered what it would do to him to see a woman cry over a children’s picture book. This entry was posted in good reads, the good things and tagged babysitting, children's stories, kids, reading, shell silverstein, the giving tree on November 5, 2013 by catherine_hawkins. I am sitting in a darkened home. Three children are asleep upstairs and the refrigerator hums as I type. She told me about school and how “first grade is so boring.” (“Boring” seems to be the new word.) I asked her why. “That sounds pretty boring,” I said. But I shouldn’t have said it because I saw her eyes dart for a moment with the thought of it. We watched the oldest brother play flag football, losing terribly. They played tag because let’s face it, I wasn’t feeling it. We sang Lorde’s “Royals” and Avicii’s “Wake Me Up” and a thousand other songs. Catherine, everyone is looking at us ’cause you’re singing. They got over it pretty quickly and joined in. Don’t worry. We weren’t too obnoxious. They thought that was the funniest thing. Oh, Catherine said she won’t take us to the hospital until after she eats. Better be careful! We laughed in the pizza place waiting for our order. The middle boy shook my soda till all the bubbles filled the bottle. We almost took the wrong food. I forgot to order the mozzarella sticks. We licked our fingers. They told me about their new babysitter, who sounded nice. I read Angelina Ballerina, did not give in to the half-hearted request for more, smoothed hair, turned out lights. The 10, 9, and 5-year-old are now 11, 10, and 7. They still guess that I’m in my thirties, wonder where my children are, and ask if I can have sleepovers. Not bad for a Saturday night. 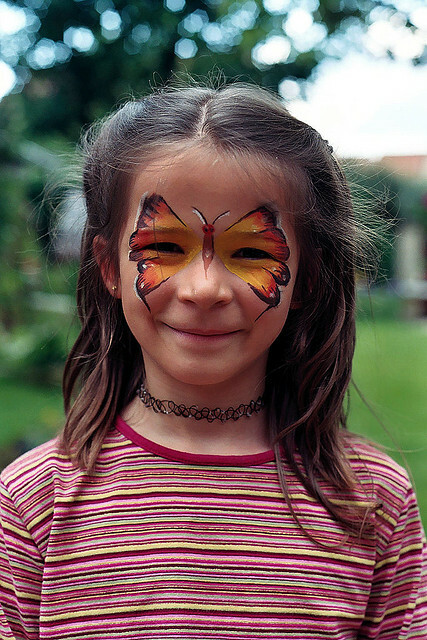 This entry was posted in out and about, ponderings on womanhood and tagged babysitting, funny story, growing up, kids, singing on October 6, 2013 by catherine_hawkins.